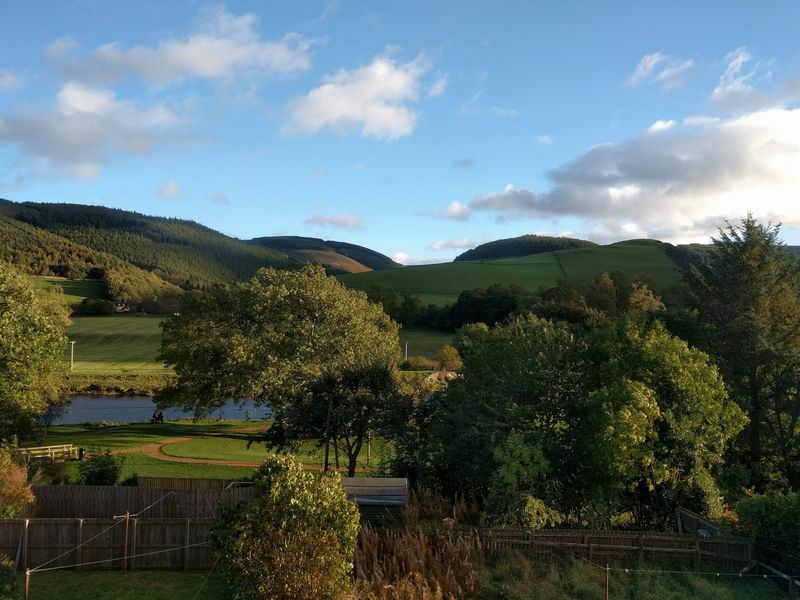 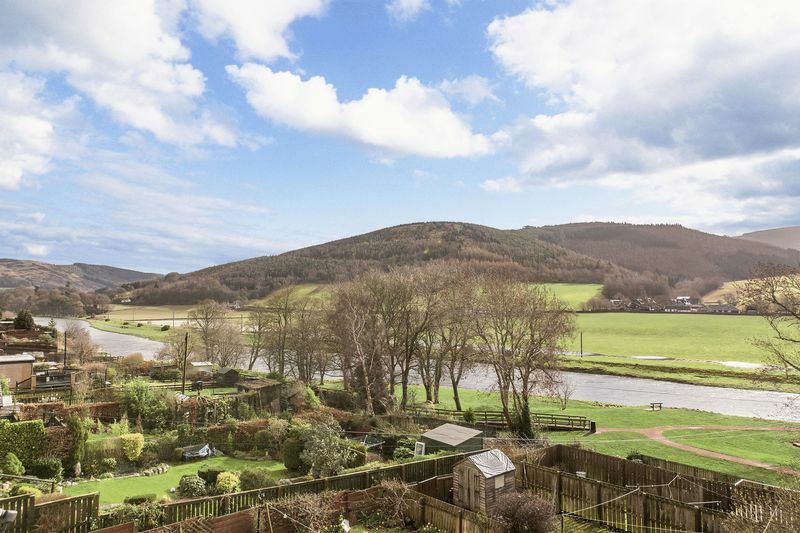 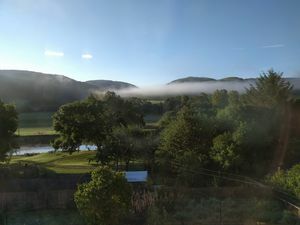 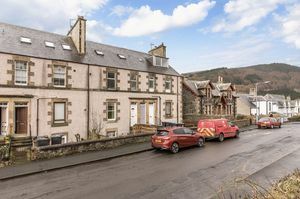 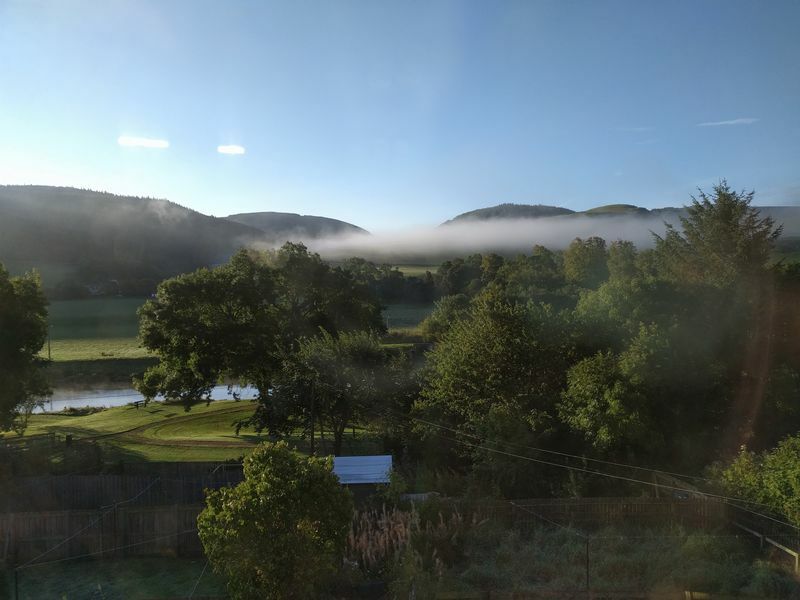 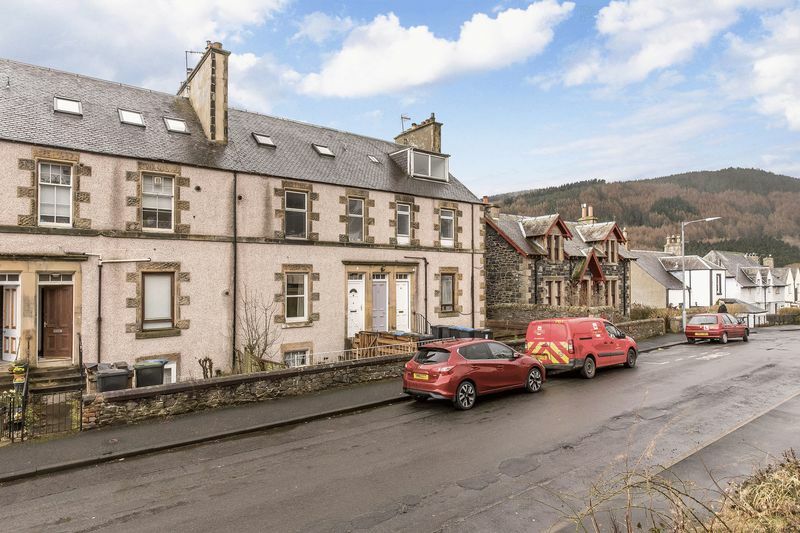 Offering open countryside views and a peaceful setting on the banks of the River Tweed, this delightful duplex upper villa boasts two bedrooms, spacious living areas, attractively-toned interiors and a private garden. 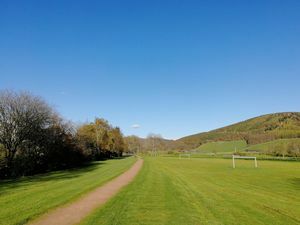 The village of Walkerburn lies beside major road links, allowing for swift commuting and travel, and is served by everyday amenities and a primary school. 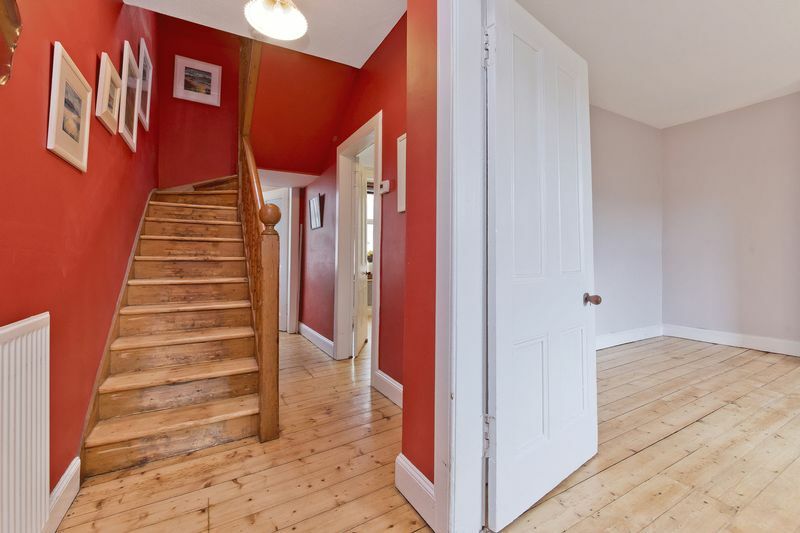 The villa is reached via a ground floor vestibule where stairs lead up to the first floor. Here, a further vestibule opens into an airy hall, where rich-red décor and natural wood finishings, including stripped pine flooring which flows through much of the home, create a warm, inviting impression. Enjoying a picturesque rural outlook and muted pastel-toned décor, the west-facing living room also benefits from display shelving and hidden storage, and the charming focal feature of a brick fire recess, with a rustic timber mantle and a log-burning stove. 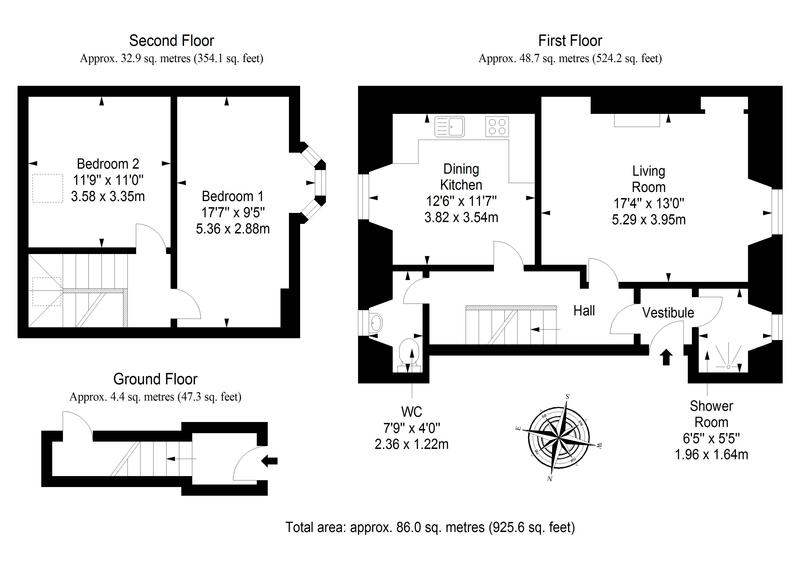 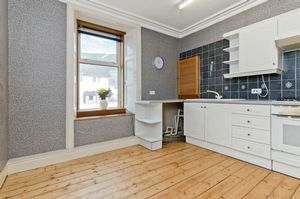 Next door, the light and spacious kitchen (with a well-preserved cornicing detail) includes a sociable seated dining area for casual meals and entertaining. 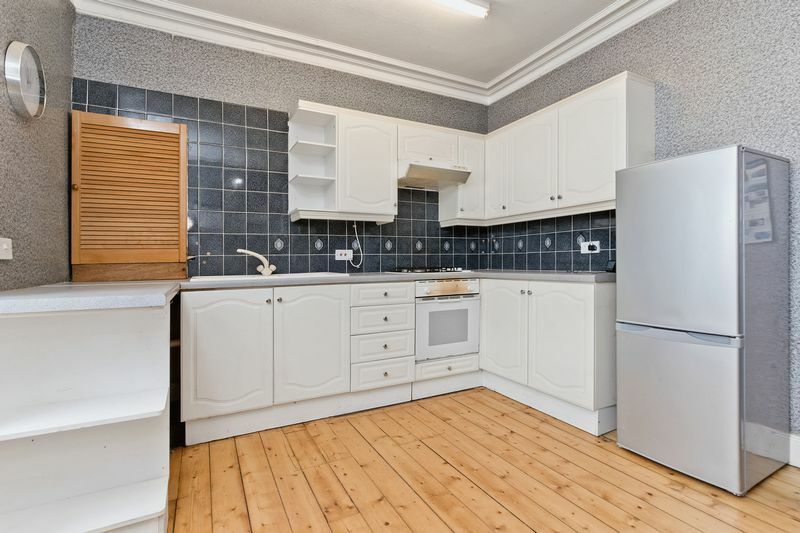 The room comes fitted with an array of classic white panel-effect cabinets, plentiful workspace, an integrated oven, a gas hob, and a tall freestanding fridge freezer, as well as plumbing and space for additional goods. Completing this level of accommodation and accessed from the hall are a bright shower room, with a large enclosure, and a conveniently separate WC presented with characterful painted wainscoting. 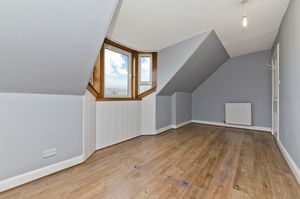 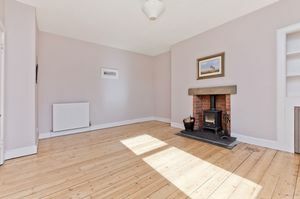 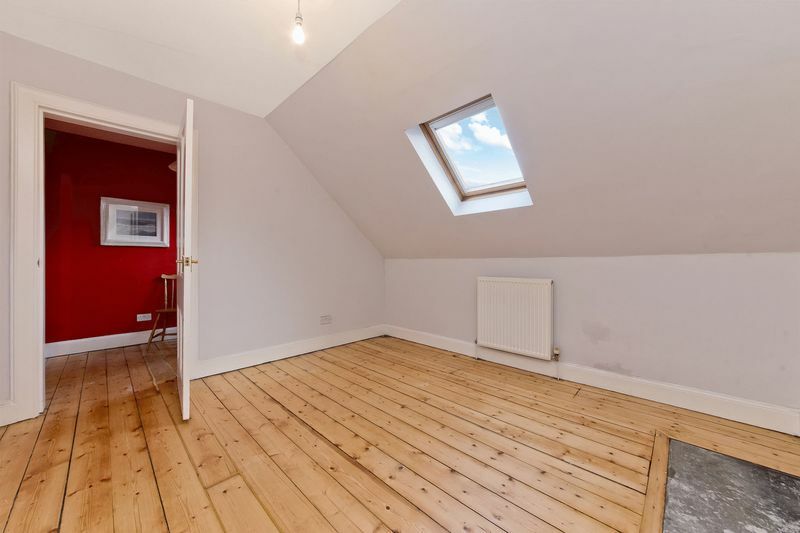 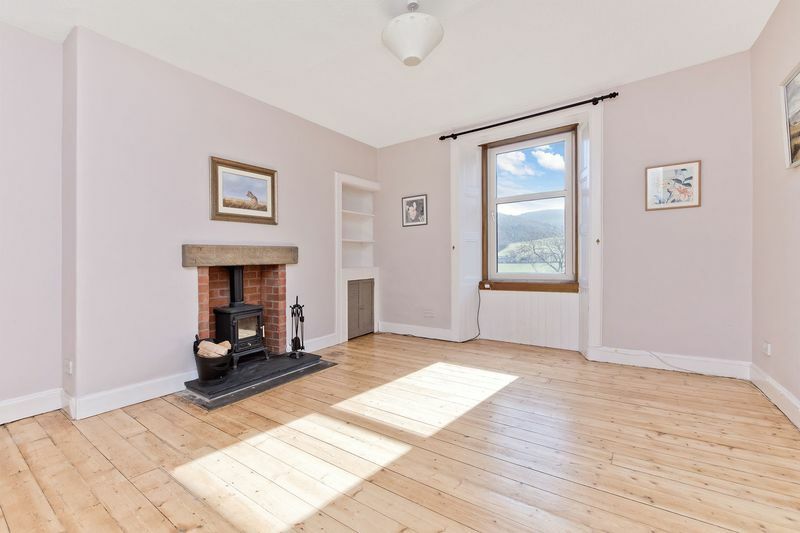 Finally, on the second floor, a sky-lit galleried landing affords access to two tastefully-decorated double bedrooms; cosily set beneath the eaves, yet also offering excellent space for furniture. One room is supplemented by a dormer window capturing the property’s enviable riverside outlook. 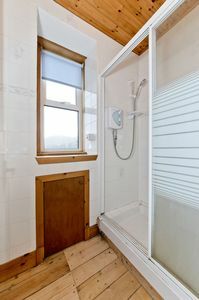 The villa benefits from efficient gas central heating and double glazing throughout. Externally, the property is complemented by a private rear garden area, a handy external store and access to unrestricted on-street parking.